[Cookie Elf File] Jumbo Chocolate Chip Cookies: Perfect for Picnics! School’s out (almost) for summer! Check out these 6 Classy Teacher Gift Ideas to find just the right card or gift to let that extra-special teacher know how much they are appreciated. Use this special link and then be sure to enter checkout code 25SAVE to save $25 on your $75 purchase at Dayspring. Yes, chocolate chip cookies are everybody’s favorite … and what about these amazing Jumbo Chocolate Chip Cookies? They are perfect for all those picnics coming up this summer. Try this version. Be sure to bake a test cookie or two before baking the whole batch so you can adjust size and practice the best way to flatten dough. Get the full Jumbo Chocolate Chip Cookies recipe… and be sure to check out more Jumbo Cookies recipes and tips on our Pinterest board. Have you ever wished you could make enough dinners in less than 2 hours that will last a month … and then once a day, let dinner cook itself in the slow cooker while you go about your busy day? Check out these nifty meal plans from 5 Dollar Dinners … and come home at 6 pm from a crazy day to dinner waiting for you in the slow cooker! Click here: 20 Freezer to Slow Cooker Meals . 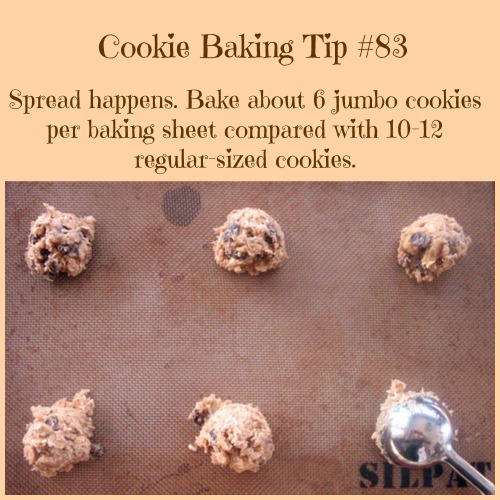 Cookie Baking Tip: How Many Jumbo Cookies Per Baking Sheet? 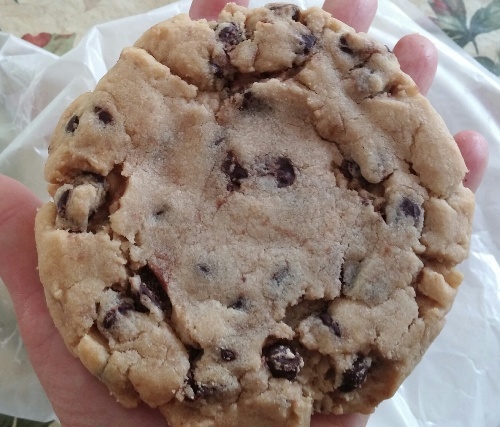 Monster Cookies: Gluten-Free Jumbo Cookies!